MATTHEW Flinders' final resting place, lost for two centuries, has been found under a London train station, auspiciously announced on the eve of Australia Day. 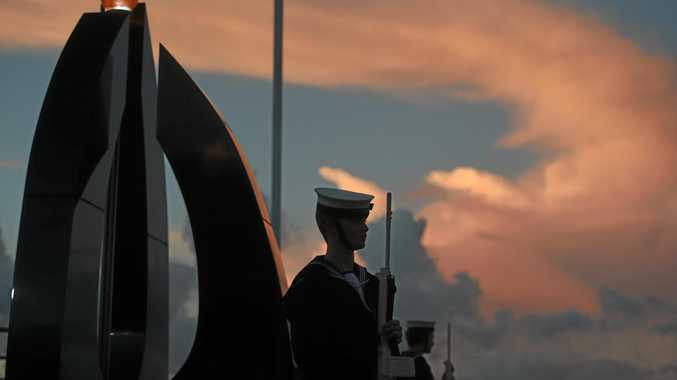 Flinders was the first to circumnavigate our continent and the first to popularise the name Australia. Before Flinders, the Great Southern land was either Terra Australis or New Holland. Imagine how we'd mangle that mantle today. Hollie, Hollie, Hollie, Oi, Oi, Oi? No, thanks. It's tricky enough pushing nationalist buttons - invoking the name "Australia" in just the right places - before falling into junky jingoism. And patriotic buttons have clearly been occupying Prime Minister Scott Morrison's thoughts. 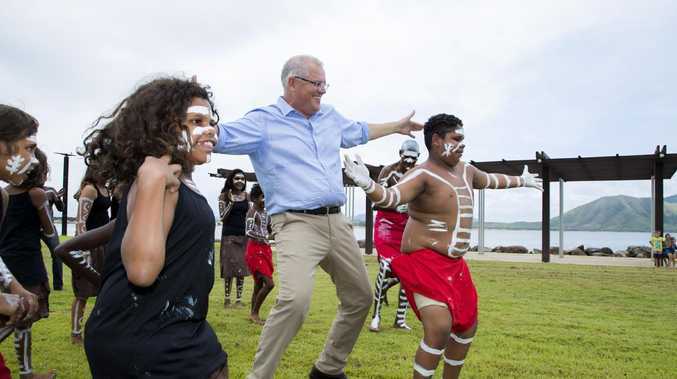 Punctuating sound bites with a flurry of "fair dinkums", performing photo-ops kicking the footy and donning awkward askew Akubra hats now define a PM who seems to know more about marketing and image than about attractive public policy. Perhaps that's why opinion polls are predicting a 20 seat wipe-out for the Morrison Government. But on paper, the coming election - expected on May 18 - should instead be a competitive contest, with Morrison a fighting chance. First, voters are anecdotally crankier at Liberal party shenanigans - the Abbott-Turnbull factional wars (now probably put to bed) that kept the leadership turnstile turning - than they are at Morrison personally. Second, Australia's relatively healthy economy will grow at 2.8 per cent this year. Wages are also growing faster than inflation and interest rates are still low. Indeed, the housing market is cooling just enough to make Labor's negative gearing policy appear redundant. Unemployment is also falling, as is the Aussie dollar which will deliver huge tourism and export revenues. And don't forget Australia enjoyed a rare trade surplus for every month of 2018. But the really big news came in last month's mid-year economic forecast: Australia's cash deficit is now about $9 billion better off than it was at last May's Budget. That means the Morrison Government has a virtual diamond mine of cash to pledge via services and tax cuts during the looming campaign. Yes, on paper, there's no reason why the Coalition shouldn't be re-elected. But the Coalition is lacking one precious resource: time. Morrison needs time to convince voters of the good times ahead, time to erode Labor's credibility on tax, and time to remould himself as a leader who stands for more than a few cheesy Australianisms. That's why the PM should break convention and hold not one but two elections this year. And while that's something voters will initially welcome as much as a proctology appointment, a two-poll strategy is Morrison's only hope of survival. Morrison's current May timetable is constrained by the Constitution which demands a half-the-Senate election by May 18. Because the last stand-alone half-Senate election was held almost 50 years ago, recent convention also demands Senate elections be held on the same day as House of Representatives elections. 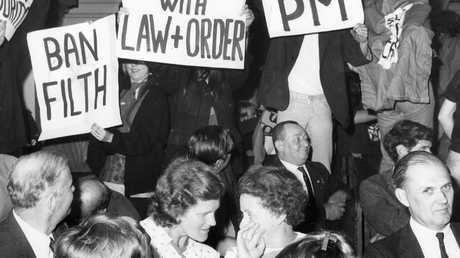 The last time Australians had a stand-alone half-Senate election was in 1970, when these protesters interrupted Prime Minister John Gorton’s speech at the Adelaide Town Hall. But, constitutionally, Morrison is well within his rights to call a stand-alone House election - the one that decides who governs - as late as November 2 this year. That would give the Coalition an extra five months to sell the strengths described above. Of course, Morrison faces two risks with this strategy: the Opposition would accuse him of desperately clinging to power and the anti-Liberal swing could gather even more momentum. But a long faux campaign, which we've already begun, could just as easily exhaust a Labor Party long in election mode. Moreover, a stand-alone half-Senate election offers two benefits. First, voters can treat the election - as they did in 1967 and 1970 - as a sort of by-election at which they can vent an angry spleen before the real contest in the House. The Coalition can expect an absolute flogging in the Senate but, given they don't control it now, it would be a calculated, acceptable loss. Second, a half-Senate election in this climate might also clear out some of the micro parties and make the chamber a little easier for the Coalition to deal with. And that could mean that, by the time November 2 rolls around, Australians might have warmed to a Morrison Government that has actually managed to do something meaningful in the parliament. 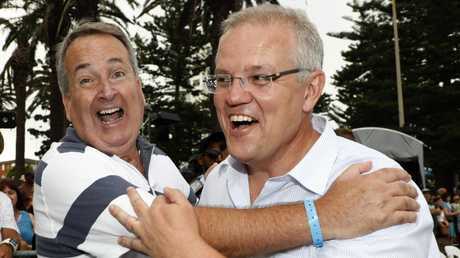 The choice for Morrison is clear: take the House to the polls in May and be certainly and comprehensively defeated; or go in November and enjoy at least a fighting chance. Matthew Flinders, dead at 40, didn't reach his full potential. Many a conservative voter will be hoping the Morrison Government lives long enough to fulfil its own mission. Dr Paul Williams is senior lecturer at Griffith University.